Make over $1500 with Less Than 4 Hours Work? How’s that Possible? 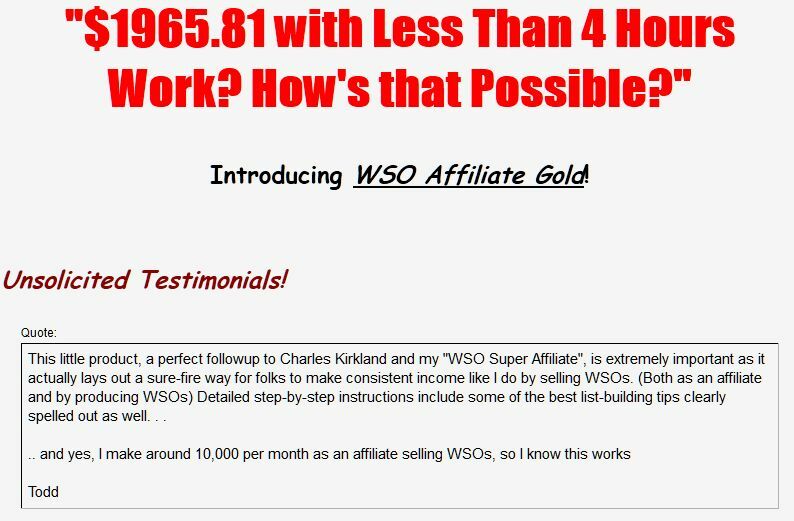 In WSO Affiliate Gold, I tell you absolutely everything you need to get this gravy train rolling in your life. — I’ve even got all the technical stuff covered with both clear written instructions and videos.